Crypto and Bitcoin Prices Consolidating Now? After breaking record high after record high during the same time last year, the ensuing decline and overall price breakdown of Bitcoin and Alt coins across the board have quickly made Crypto almost everyone’s least-favored investment. Rightly so, if what matters for the great majority of Bitcoin enthusiasts is only price against US dollars or other paper currencies. At the risk of sounding boring or repetitive, it needs to be stretched though that — more than opportunity for high-volatility trading and asset price appreciation — Bitcoin’s most important feature is the introduction of distributed ledger technology (DLT) and its potential for decentralized application technologies and the development of innovative and even more cost-effective solutions than conventional internet technology brought about. Right now, Crypto token prices may be consolidating and show a few sign of developing a bottom formation — but one that is far from confirmed yet, so nobody should read this or any similar comment as an invitation to jump in and repeat their get-rich-quick dreams fostered last year. Prices this week have shown an upward move above mid-Novembers meltdown that had been brought about by Bitcoin Cash’s hard fork and resulting market instability. If (and only if) prices further stabilize and continue building a classic 1-2-3 bottom formation, then a further increase out of the doldrums could be in the books for early-2019. This would likely see a Bitcoin price recovery (that might be relatively short-lived though), followed by a Bitcoin-induced Alt coins recovery which should be more significant than Bitcoin’s own. There are two reasons for this assumption, (1) the disproportionally larger decline of most Alt coins and (2) the fact that Bitcoin remains clumsy, slow and energy-wasteful which makes Bitcoin a great experiment and a welcome first-mover but also one of the Crypto coins with the least utility. Faster and greatly improved upon Bitcoin’s algorithm, there is a wide range of coins with streamlined and easier-to-use features, faster confirmations, and equally good reputations and development teams, as a result set to recover much more significantly than Bitcoin itself — which nevertheless should be leading the way, if or when a price recovery really is sustained and starts setting in. The price of Bitcoin in U. S. dollars and other paper currencies has seen dramatic upward moves throughout the entire second half of 2017 — if not the entire year, as Bitcoin prices have been only in the Green except for brief periods in late March and June. The same goes for most other Crypto currencies beyond Bitcoin, including Litecoin (LTC), Dash (DASH), Ethereum (ETH), Monero (XMR), or Potcoin (POT) as well as Bitcoin Cash (BCH) which started only on August 01. There has been a series of Bitcoin all-time highs set only during the last few days and weeks — just to be broken by even higher ones, often within a day or so. As a result, the overall Crypto coin market capitalization has been rising dramatically — as reported earlier, http://bitcoinfinancial.info/overall-crypto-coin-market-expanding/. At the time of writing, the top-10 Crypto coins now account for a total of over $256bn. While this is an explosive increase and more than triple the total marketcap of just six months ago, the Crypto coin asset class is still only a tiny fraction of other asset classes like bonds, stocks, commodities, or even the gold market which is rather small itself. Presently, only a few million people worldwide own Crypto coins. This means that Crypto coin prices are set to go dramatically higher when only 1% of the global population started owning or using Bitcoin and other Crypto coins. That situation is likely to occur sooner rather than later even though Bitcoin itself has seen rather slow adoption over the few years of its existence. Changes in U. S. income tax regulations are set to pave the way for easier adoption by granting more favourable tax treatment to Crypto coin use, providing a $600 tax-free threshold and giving Bitcoin and Alt coins the same treatment as foreign currencies like Swiss francs, Japanese yen, or Norwegian kroner. As a result, there are already rumors of large sellers considering Bitcoin acceptance, with eBay, Amazon, and a few others among them. Overstock has paved the way with their pioneering decision to start accepting Bitcoin payments back in 2014, thereby being the first large vendor to do so. Crypto coins are a beast of its own. Attempts have been made to classify Bitcoin and other peer-to-peer decentralized Crypto coins into one asset class or the other. Some analysts (and alongside them, a number of online trading platforms) believe Crypto coins should be seen as part of the Forex market. Others would like to see Bitcoin and Alt coins as a tangible asset and part of the precious metals market. Neither of these attempts are convincing though. The truth is that, while having some similarities with others, Crypto coins are an asset class of their own. With other coins beyond the original Bitcoin establishing themselves firmly in the overall market and gaining increasingly significant market share, the argument for seeing Crypto coins as an entire “asset class” becomes more convincing by the week. Besides Bitcoin itself, circulating since early 2009, other peer-to-peer Crypto coins have appeared. The first to follow was Litecoin (ticker: LTC) launched in 2010 and improving on a number of Bitcoins experimental features; most importantly faster confirmation (total transaction) time, a better block size capable of processing a sufficiently high number of transactions, lower energy consumption, and a dedicated and publicly known development team and lead developer. Similar things can also be said about DASH, the innovative and privacy-conscious digital cash (ticker: DASH), Z-Cash (ticker: ZEC), Ethereum (ticker: ETH), Monero (XMR), or Ethereum Classic (ticker: ETC) — all of which have gained significant market share and range from around $300m to $4bn in market capitalization. This is additional to Bitcoin itself (ticker: BTC) which has a market capitalization of over $19bn at the time of writing. With Bitcoin (BTC) having increased in price for most of the current year and currently trading above $1250, price gains of all the other coins are even more impressive as they clearly do not come from movements between Bitcoin and other Crypto coins but rather from an influx of new money into the Crypto coin asset class. This includes current demand from investors following more conventional investment styles and accompanying newsletters. It appears to be time for them to jump on the Crypto coin bandwagon in order to profit from possible price gains as this overall asset class evolves and matures. The resulting increase in demand for at least the ten or twenty top-tier Crypto coins has resulted in significant price gains against all fiat currencies like dollars, pounds or euros over the last weeks and months. Litecoin (LTC), Ethereum (ETH), and DASH (DASH) have seen the highest price increases while proving to be most stable and not as extremely volatile as some other smaller-cap Crypto coins. Additional fundamental factors for these coins are adding to market expectations of further price increases as these coins are set to fill an increasing number of market niches opening for coins with special features going beyond Bitcoin’s original abilities and uses. Ethereum, the world’s second largest Crypto coin by market cap after Bitcoin, has just received another boost in both popularity and usability — and, therefore, likely price as well. Hong Kong-based trading house Octagon Strategy have just announced that Ethereum can now be traded over-the-counter through their OTC desk. Octagon Strategy say they cater to large-volume buyers like wealth managers, mining consortiums, other institutions, and family offices. Beyond Etherum trading, Octagon Strategy also support trading in Bitcoin and Dash at the time of writing. Octagon Strategy’s move is expected to further boost Ethereum’s price. The price of Ethereum has risen from around $20 in early March to over $54 and is now trading at just under $50. A number of popular Alt coins have posted significant gains over the past days and weeks, rising dramatically in both dollar terms as well as price against Bitcoin. Notably Ethereum and Dash have increased in price considerably, with Litecoin having literally exploded in price a few days later, ending March more than 350% higher over last month. While this Alt coin rally may be based in part on so-called pump-and-dump action in large Crypto coin exchanges, a deeper look reveals a more serious and fundamental background to these moves in various Alt coin prices. Bitcoin’s ability to process transfers of value, while ingenious in its decentralised nature and overall technical implementation as a prototype, appears increasingly weak in light of payment volume. Recent weeks and months have shown significant delays caused by these shortcomings in “bandwidth of the Bitcoin blockchain” and resulting “traffic jams’ in payment confirmation (or clearing transactions). Other decentralised Crypto coins based on Bitcoin’s model use different “block sizes” and also shorter “block time” intervals and are capable of processing much higher volume. This lets the do a much better job at processing payments. As a result, overall transaction confirmation time — which has always been particularly slow for Bitcoin — is usually much better with other coins sporting faster block time and, therefore, faster confirmation (completion) of payments. These features which are different from the original Bitcoin model make Crypto coins like Litecoin, Dash, or Ethereum more attractive and are an increasingly important selling point on the overall Crypto coin market. Users of Bitcoin are aware of this, often from own experience, as issues with confirmation times for Bitcoin payments have become more frequent over the past few months. Price moves boosting the price of popular Alt coins like Litecoin, Ethereum and Dash are therefore a normal market reaction to these coins’ being more future-proof and their better ability of clearing transactions fast. On top of the above factors, Litecoin is also likely to receive an important modification, called Segregated Witness or “SegWit” and csv support, allowing new features to be added in the near future. Litecoin’s price increase — which has been particularly sharp, catapulting LTC from roughly BTC 0.00190 to over BTC 0.00850 or from about $3.91 up to $9.29 — signals that these new features would be warmly welcomed by worldwide Crypto coin users. SegWit support in Litecoin would make the “second Bitcoin” actually the first to support these features. They are even likely to also be added to Bitcoin itself, albeit at a significantly later date. These facts show that many of the Altcoin price moves most notably seen during the last months are, indeed, based on fundamentals rather than technical price factors, let alone questionable pump-and-dump action on Bitcoin exchanges. 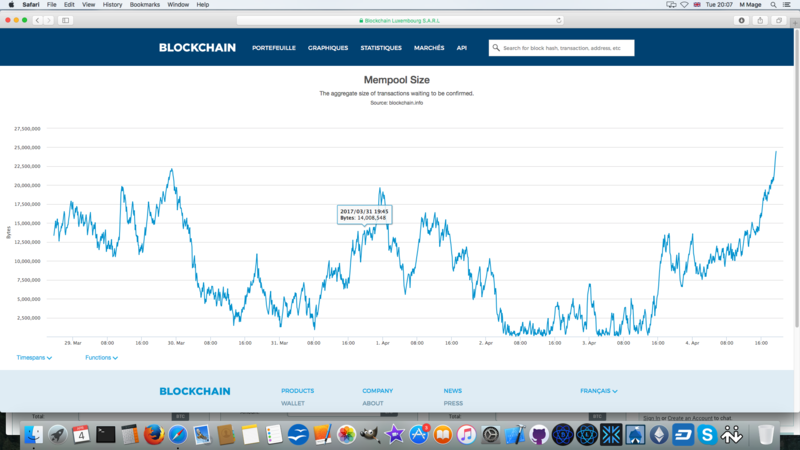 Bitcoin’s Mempool, or the measure of transactions waiting for confirmation or “payment completion”, has been increasing steadily over the last few months and is at very high levels since the end of 2016. Mempool or “traffic jam” information for the Bitcoin blockchain is publicly available at the blockchain.info website and gives information on how likely it is that transactions in bitcoins may suffer a delay. The extent of possible delays in Bitcoin has already resulted in other Crypto coins like Litecoin, Ethereum or Dash to gain more attention by worldwide Crypto coin users and merchants. Both groups are likely to suffer when payments are delayed and will be looking for better, as in faster, solutions for transmitting payments. This has already given a number of the more popular Alt coins significant price moves because of better expectations of future mass adoption. Delays in Bitcoin payments can also be avoided by adding higher transaction fees to payments and gaining priority over other waiting transactions this way. Recommended fees are increasingly over 100 satoshis per Byte. Figuring out and using the correct fee for payments in Bitcoin is unpopular though and not likely to be used by most regular users. Bitcoin, along with all other decentralised peer-to-peer Crypto currencies, has a number of significant advantages going in favour of using it. These range from being free from “political risk” (national currencies) and “counter-party risk” (paper assets held at banks or brokerages) to providing some degree of financial privacy (not anonymity though unless additional measures are implemented), giving its owner back the control they deserve over what’s rightfully theirs. The pros for using Bitcoin, Litecoin, Dogecoin, or any other P2P Crypto coin are summed up in the list below. More than its unit price against dollars, Bitcoin is of interest for reasons quite different from just speculative profits (or losses) from its infamously volatile movements. First and foremost, the mathematical achievement of solving the “Byzantine General’s Problem” in the process of inventing the blockchain as Bitcoin’s underlying technology is Bitcoin’s most outstanding achievement. At the same time, the economic potential opening up because of Bitcoin and this overall breakthrough in decentralization and organizational opportunity flowing from it is what really will matter in a greater context. Having a decentralized ledger is what makes worldwide Bitcoin transactions possible. It has also allowed setting up numerous other decentralized peer-to-peer Crypto coins. Roughly two hundred to three hundred coins similar to Bitcoin have come and gone as of this writing. These alternative or Alt coins use decentralized ledgers similar to Bitcoin’s blockchain. In the case of Alt coins, these are often called block indexes, and Alt coins use the same or one of a number of different encryption algorithms. The underlying technology of Alt coins is largely the same used in Bitcoin though. This entire enabling technology will prove to be a major enabler whose true potential has not even been realized by most people, including many Bitcoin aficionados. It holds the potential for directly bringing together random people from all corners of the world without any middleman (or institution) in order to engage in trade or any other form of exchange. Once this truly powerful concept has been fully grasped by all involved in the Bitcoin and wider Crypto currency field, it will not really matter what the actual price of one Bitcoin in dollars or similar is at a particular date. True, early adopters of Bitcoin or other Crypto coin, more specialized for a certain use case, will profit from accompanying price increases if they manage to get in and out at the right time. In light of what an actually free market for worldwide exchange of value could mean, short-term profits may be a “nice thing” for sure, but the overall benefits to all present and future Crypto coin users will outweigh these by far. These days, every would-be innovator and their grandmother believe it is “posh” to “do Blockchain technology” or what they believe to be it. The most ridiculous attempt (so far) came out of that great City, where the Bank of England has ridiculed itself by presenting their shallow idea of “RSCoin” while claiming that this would be a “better Bitcoin”. Curiously, they have been echoed by some puppet newspapers in Britain who were fast to applaud the idea and “explain” why RSCoin, for being “backed by the trust of governments”, would be a “so much better Bitcoin”. Those explainers have only discredited themselves as to neither understanding Bitcoin technology nor doing proper news research (which would have shown why a scheme like that is stupid right away). They should understand — or at least research until they do understand — that Bitcoin’s strength stems from solving the Byzantine General’s Problem and that this discovery is at the heart of Bitcoin technology as well as every other decentralised Crypto coin’s technology. 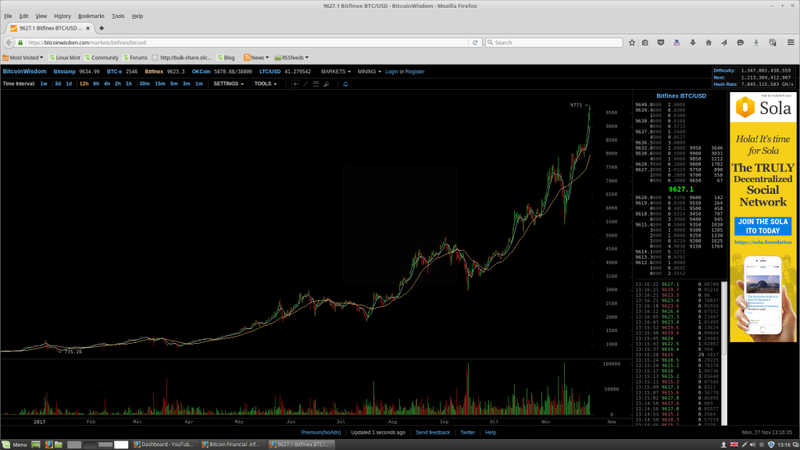 Satoshi Nakamoto’s discovery is what made Bitcoin possible at all. Bitcoin sacrifices a certain part of ledger efficiency for the sake of real-life decentralisation. This is made possible by using an autonomous and truly decentralised Blockchain recording Proof-of-Work calculations performed by miners who are also autonomous. As and added security feature, they are also anonymous. That way, they provide for a global, autonomous, censorship-free, and secure network. If these features are not needed, then why use “Blockchain” technology in the first place, wasting efficiency features without any real need? What “RSCoin” and similar not properly thought-out schemes are proposing is, in fact, a single-entity clearinghouse (run, not surprisingly, by the Bank of England in this case). The Bank of England apparently believes to be gaining some institutional advantage by pursuing this ridiculous venture, all the way failing to understand what it is they are really doing. “RSCoin” is nothing more than a scheme built around a single-entity clearinghouse. A structure like this is known to be extremely vulnerable against all kinds of attacks, and it has already been said that cracking into this “would be a lot of fun”. Bitcoin experts are also on record saying a single-entity clearinghouse is a ridiculously anachronistic and insecure idea that should have died two decades ago. That would have been in the mid-1990s. The City of London’s “finest” are trying to build it now, in 2016, though. Funded by taxpayer money at that. They are also applauded by those parts of the British press even more stupid than that.